Salta is a large city (though not so large as to feel overwhelming) in the Lerma valley of Northwestern Argentina. It is the capital of the province of the same name and the best places to stay in Salta are mainly centrally located and perfect bases for enjoying this most attractive and interesting of cities. Also known as ‘Salta la Linda’ (Salta the beautiful) the city was founded in 1582 by the conquistador Hernando da Lerma. It subsequently became an important strategic centre both economically and militarily. It lies close to the Peruvian border in the foothills of the Andes. Salta is famous for its old colonial architecture and cosmopolitan vibe. There is a lovely mix of restaurants, pubs and cafes - truly something for everyone here! The city is genuinely multicultural with strong Italian, Spanish and Arab communities. This is a friendly place to be - a unique blend of Spanish and Gaucho and there is much to see and do. The Mount San Bernardo Cable Car whisks you high above the city for stunning aerial views. More energetic sorts can walk to the top where you'll find a cafe for some well earned refreshments. Visit one of the many penas and experience the live folk music of the region. A variety of galleries and museums representing all genres - there are fascinating collections of Inca artefacts. This was the southernmost region of the Inca empire. Take a trip on the ‘train to the clouds’ which is the fifth highest railway in the world - climbing to an altitude of 13,850 feet. Salta is a busy year round destination and is many travellers' starting point for a further exploration of the region. For this reason the best places to stay in Salta can be very busy, so don't leave it till the last minute if you want to ensure a room in one of our recommended hotels. 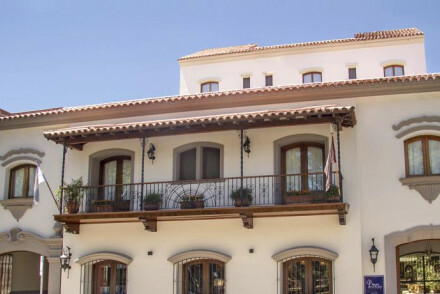 Solar de la Plaza is an elegant, neo classical building in the heart of the city. The rooms are stylish with sash windows, antique furniture and four poster beds. This is a great spot for exploring the city amd excellent value with rooms from just $105 B&B. Villa Vicuna is a luxury hotel in the middle of town. It is chic and stylish with white-washed walls, cast iron beds and tiled floors, plus it offers a great place to unwind by the outdoor pool or in the tranquil gardens. Rooms from only $125 B&B. KKala Boutique Hotel provides great style in a quiet location with lovely views. The rooms are individual and contemporary with rich hues and parquet flooring. Plus there's a beautiful pool. Legado Mitico is an extremely chi chi hotel which exudes luxury and charisma. The eleven rooms are elegant with a traditional feel. Charming staff will cater for your every whim. Design suites Salta is a smart contemporary property in a central location boasting rooms with views, a rooftop pool and pampering spa. A tranquil place to escape. 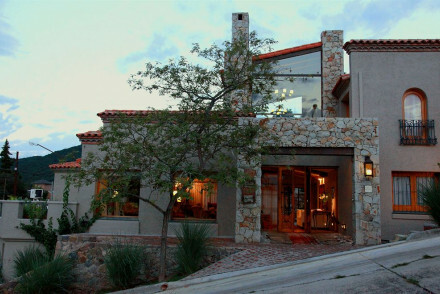 House of Jasmines is a gorgeous romantic property situated just outside the city. You'll find four poster beds, elegant interiors and stunning views of the mountains. Finca Valentina is very close by and also boasts great Andes views, chic interiors, excellent food, lovely pool and large gardens. Slightly further out (about 36 km to the south of the city) is Finca San Antonio, a traditional rural property overlooking a pretty lake. Charming traidtional rooms are finished with antiques There is a wide range of activiities in the area, from horseriding to rafting to golf. Salta enjoys a subtropical highland climate, and is a good year round destination. Winters are warm with day time termperatures around 17 degrees celcius, but if you want the heat come in the summer months (January and February) when the highs are around the mid twenties. The nearest airport is Martin Miguel de Guernes International Airport, just 7km from the city centre. For car hire we recommend the wide choice with our online partner Rentalcars. An elegant neo-classical property in the heart of Salta. Stylish rooms feature sash windows, antique furniture and the best have brass four poster beds. An atmospheric lounge, all polished wood, is the perfect place to enjoy an evening tipple. Well placed for city exploring. A chic choice. 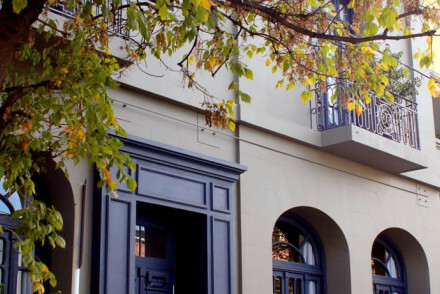 Local exploring - A stylish stay in central Salta with easy access to many of the main attractions. Sights nearby - Walking distance from the Church of Saint Francis. 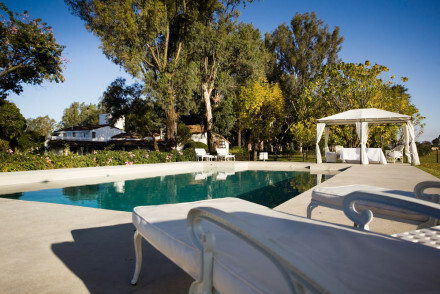 Finca Valentina is a chic country house turned boutique hotel in the foothills of the Andes, just outside Salta. Italian owners bring their own sense of décor and cuisine. Perfect base for fabulous Andes excursions. Or stay put and enjoy a cookery class or chilling poolside with a good book! Value chic - Chic, elegant with fantastic attention to detail all within a reasonable budget. Cooking classes - Cooking classes with Finca Valentina's chefs, learn how to make traditional Salta dishes and enjoy eating for lunch! Birdwatching - You'll see a whole host of birds on the property alone, use the bird book in the house or take a professional tour. Great walks - Explore the lovely gardens or head out further afield to the river and surrounding counrtyside. A luxury hotel right in the heart of Salta. 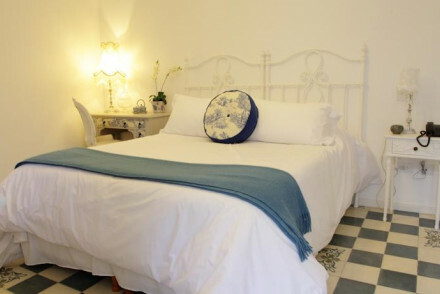 Elegant rooms have white washed walls, cast iron beds and blue and white tiled floors. The outdoor pool and tranquil gardens are the ideal place to unwind after a days sightseeing. Easy access to activities both in and out of the city. A chic choice. Local exploring - An elegant hotel located just 250m from the historic city centre. A boutique hotel boasting a quiet location with lovely views, just minutes from the city centre. Individually styled rooms are contemporary in style with rich hues, parquet flooring and glimpses of traditional artefacts. A lovely pool is the perfect spot to take some time to unwind. Romantic Break - A quiet and intimate spot, with plush suites boasting charming terraces and the unbeatable luxury of a personal jacuzzi. Sights nearby - Visit the pretty pink Salta Cathedral. A small boutique hotel that exudes both luxury and charisma. Elegant rooms keep their traditional feel with tiled floors, fireplaces, white washed walls and the best have four poster beds. Charming staff are there to help with every need. An atmospheric lounge serves regional tipples. Fabulous. City Style - This stylish and tranquil property with a leafy courtyard and plush suites is the perfect city base. Local markets - Hunt for colourful artefacts at the Purmamarca crafts market. Sights nearby - Make a trip to the imposing pink cathedral. A chic contemporary property in an excellent central location. Rooms offer spectacular views across the city with the best having two walls completely made of glass. A rooftop pool offers a tranquil escape from the hustle and bustle, and a spa provides some serious pampering. Highly recommended. 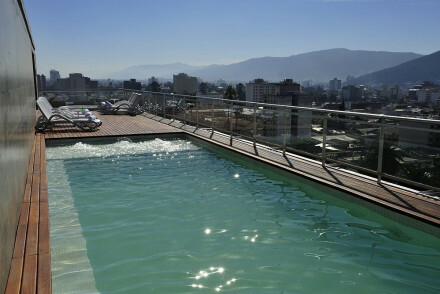 City Style - An uber stylish city base, with cool interiors and a rooftop pool, right in front of the Belgrano Square. Local markets - Visit the Mercado Municipal San Miguel to sample regional eats. Sights nearby - Visit the candyfloss pink Catedral Basílica de Salta. 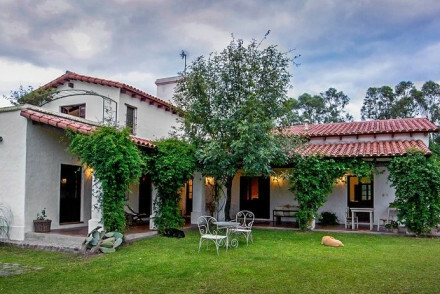 A gorgeous property set in lovely gardens, with far reaching views towards the Andes. With all its traditional charm still in tact, rooms are quaint and atmospheric with beamed ceilings, tiled floors and antique furniture. A treatment at the small but perfectly formed spa is a must. A rural haven. Romantic Break - The upstairs rooms are built for romance with plush fourposters, elegant decor and stunning views. Country Escape - A beautiful rural property sitting quietly at the foot of the Andes. Sights nearby - Make a trip to the pre-Inca ruined city at Santa Rosa de Tastil.